A lot of guys like new shotguns. I’m not one of them. I prefer old doubles (and old stuff). That’s why I like this 20 gauge Dumoulin O/U caught my eye. It looks very original, and its straight grip, double triggers, and unique action give it a lot of character. I dig the three-piece forend, too. Some guys will say the 26 1/2″ bbls are too short, but I doubt they matter in the grouse woods. There have been Dumoulins in the Belgian gun trade for centuries. Today there’s still a gunmaker in Herstal called Dumoulin. I think this shotgun was made by Fs. Dumoulin & Cie, or François Dumoulin & Company. Fs. Dumoulin was founded in 1849 and I think they had a factory in Liege into the 1950s. 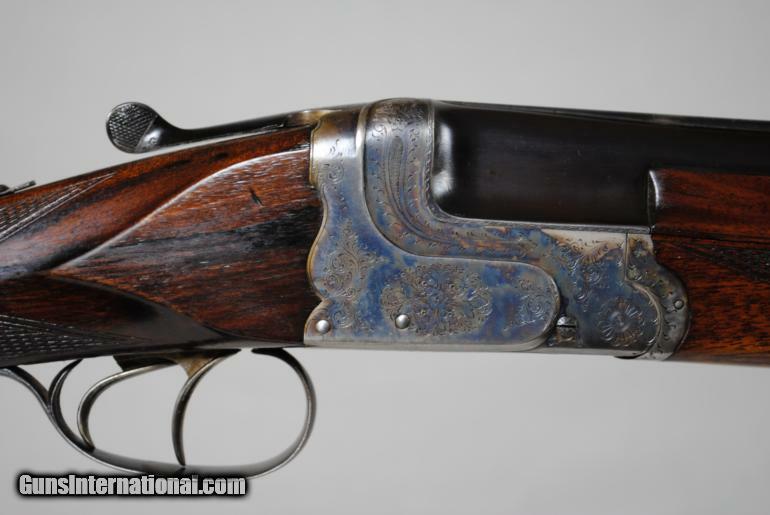 They made all sorts of guns: pistols, cheap rifles, high grade sidelock shotguns, etc. Frank Pugliese was American gunmaker. He was around in the 1940-1950s, and I think he specialized in Springfield Sporters. It looks like he imported this shotgun as is, right from Belgium. 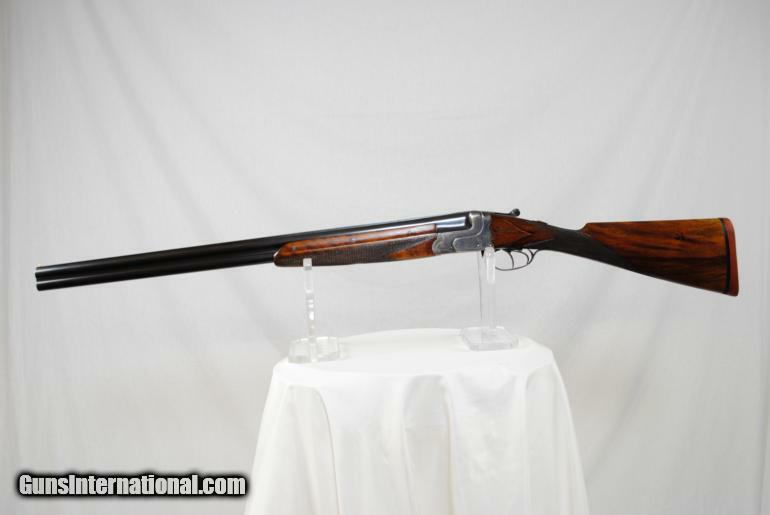 I’m not sure how many shotguns Frank Pugliese brought into the US, but here’s another one that has been on the market for a while. « Super rare D.M. 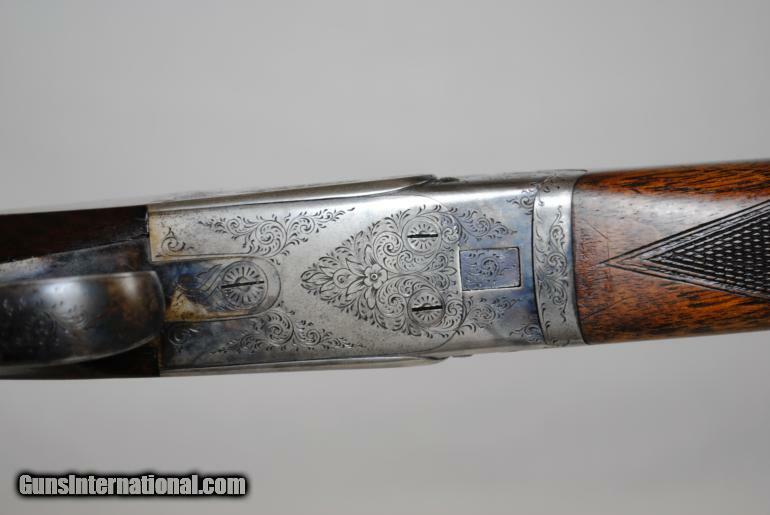 Lefever alert: a 16 gauge 9F side by side shotgun….